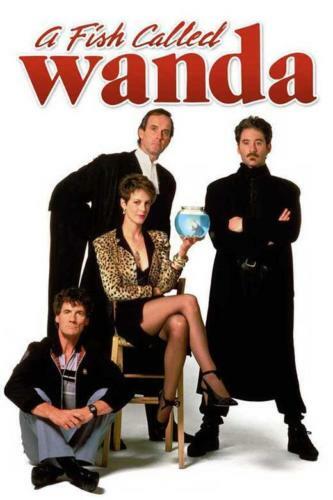 068 – A fish called Wanda | All Eighties Movies. All The Time! This entry was posted in Podcasts and tagged comedy, drama. Bookmark the permalink. OH WOW just listened. I adore this movie! Thank you. I had no idea we could request movies. Awesome idea. Here are mine and I still need to catch up on your previous podcasts. I have more but will restrain myself. Love your podcast. Such respect and fantastic trivia that I never knew. Can I get a shout out? Just found you’re pod from chatter on twitter. I was born 1968 & been looking for an eighties movie podcast with the people not degrading or have not seen or hating on my favorite eighties movies. I’ve found you both. I hate hearing my beloved eighties movies torn apart by younger people that did not grow up with them or appreciate them. I could not be happier finding you. Thank you Gidget for posting up your pod cast. I have a lot of catching up to do. Brillant insight into a brillant movie. Loved Gidgit’s English accent. And Angry’s 6 degress info blew my mind. The funniest things that runs through this movie is the Michael Palin’s character is killing the old engish ladies small dogs!